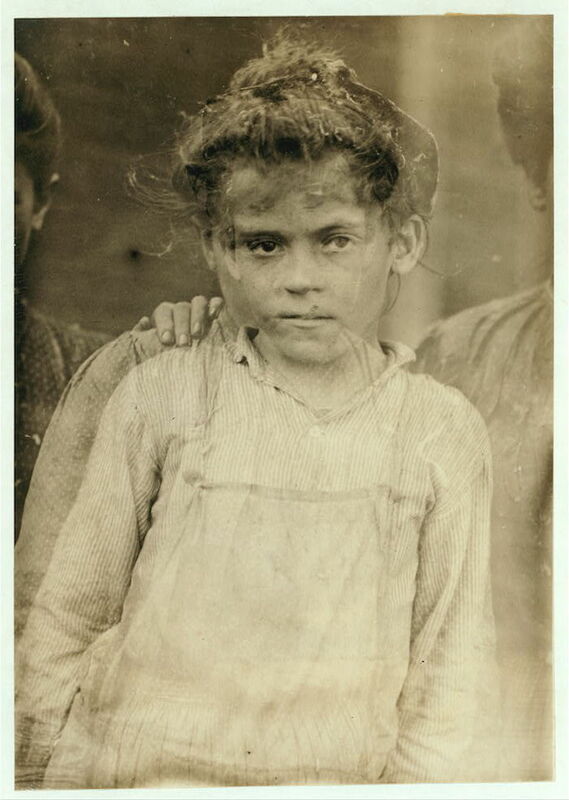 Between 1908 and 1911, the photographer and social reformer Lewis Hine travelled the U.S. for the National Child Labor Committee (NCLC) documenting child labor — in factories, textile mills, canneries, and coal mines — focusing in particular on the Carolina Piedmont. 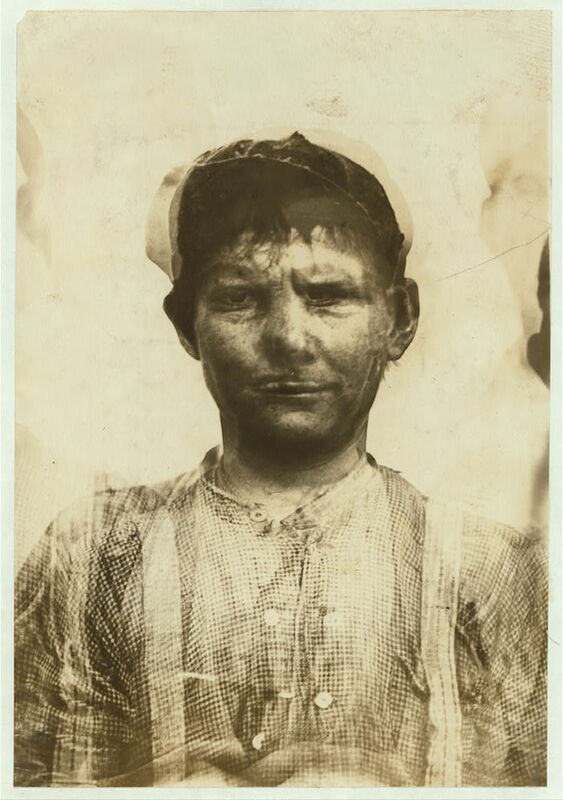 Amongst the hundreds of photographs he made in this time is this unique set of composite photographs of Southern cotton mill workers featured below. 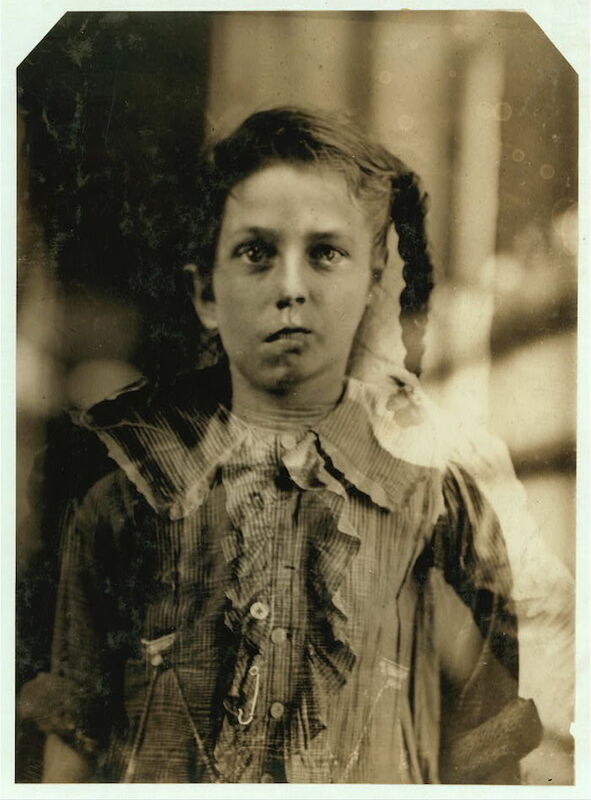 Each image was created by purposively rephotographing several workers upon the same photographic plate. The idea of overlaying portraits in this way was not without precedent. 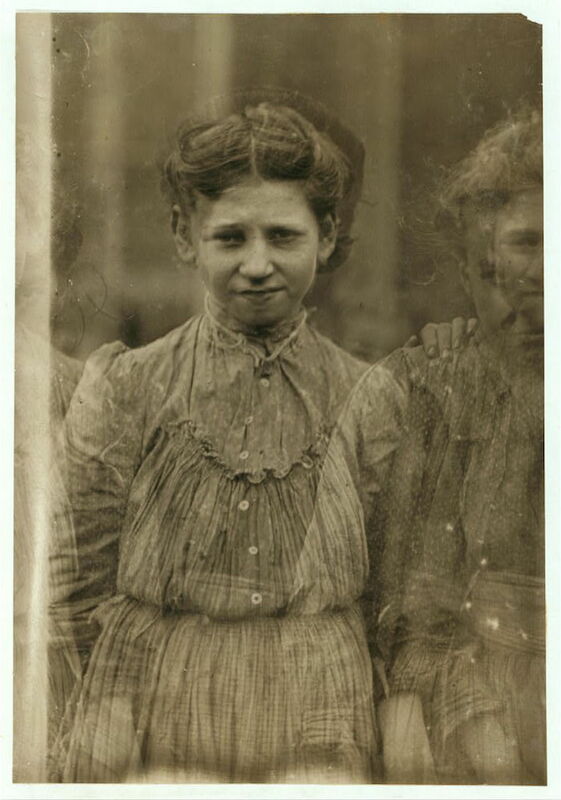 The technique was invented in 1880s by Sir Francis Galton who used multiple exposures to create an “average” portrait from many different faces. For Galton, the primary purpose of the method was so as to advance his views on human ideal types, and it could be argued that Hine used it in a similar way (albeit divorced from the somewhat suspect context of phrenology), to generalise his observations regarding the damaging physical effects of the back-breaking factory work on young bodies. However, the fact that Hine overlays faces of quite different physicality perhaps implies a subtler motive, one perhaps more orientated around the haunting quality of the final image. The composites were never published in Hine’s lifetime, although the portraits of the same children used in the process do appear in posters for the NCLC alongside such headlines as “Making Human Junk: Shall Industry Be Allowed To Put This Cost On Society?”. In general, Hine’s heart-rending images from his time with the NCLC — often the result of putting himself at great personal danger — helped to influence the change in several laws, including the Keating-Owen Child Labor Act of 1916.